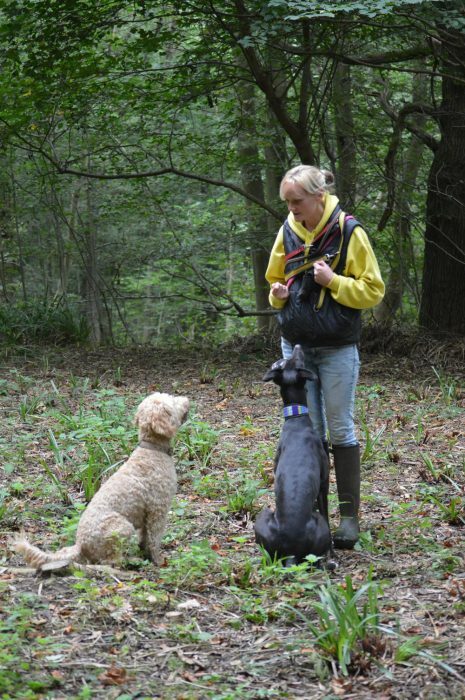 We provide a dog training service for you and your dog. This is particularly good if you have a young puppy, we can help you with basic training with your dog. Or if you have a new puppy and need general guidance we can come to you and help. Heather is a qualified behaviourist and trainer and the team leaders are also qualified dog trainers with the IMDT and run our puppy classes. We can help with complex behavioural issues such as separation anxiety, resource guarding, aggression and fear related behaviours. 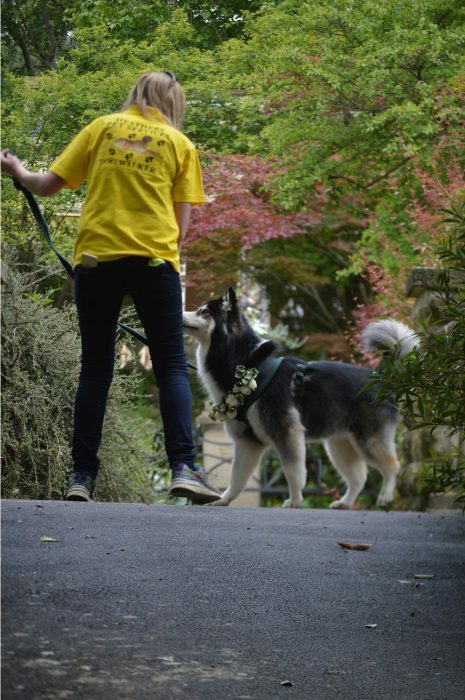 Our programmes will be designed to suit you and your dog’s needs and will enable you and your dog to live a happy healthy lifestyle. 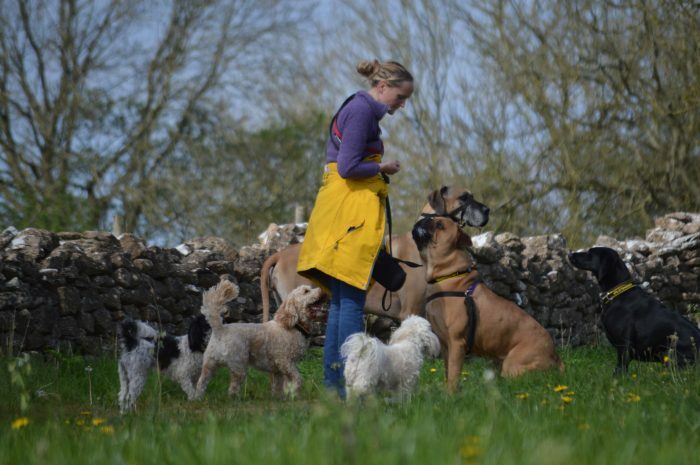 We cannot guarantee a quick fix as all of our methods are kind and gentle not impacting the welfare of you or your dog, we will be led by you and your dog and work at bot of your paces to ensure maximum success with whatever behavioural issue you may have. Heather provides one to one behavioural modification programmes to help you and your dog get back on track or overcome an issue. Heather has spent 10 years walking and boarding dogs and during this time was able to watch many dogs’ and has spent hours analysing their behaviours and body language. 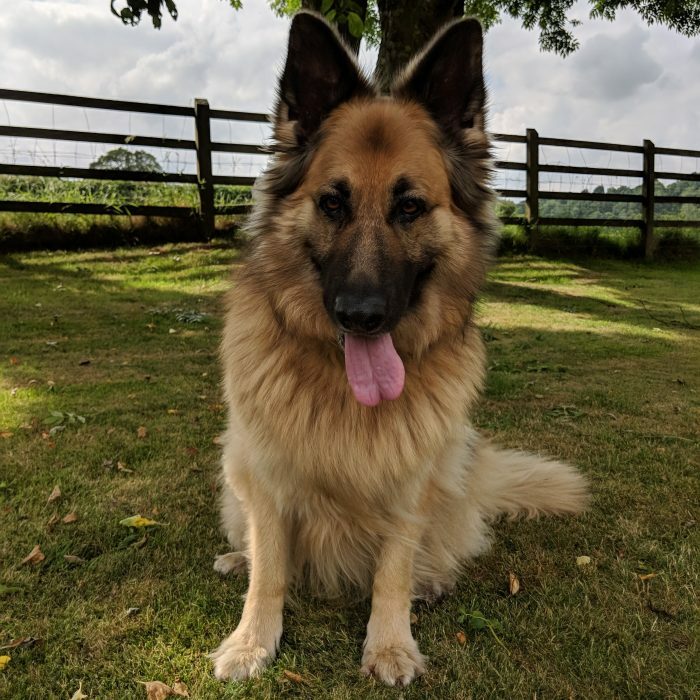 Heather has spent the last few years studying dog behaviour and gained an advanced behaviour practitioner diploma with a distinction and a degree I behaviour and welfare. Heather also keeps herself up to date with the latest scientific research on dog behaviour by attending various CPD courses in the UK. 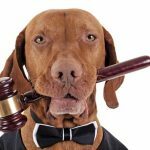 Heather is a member of Dog law SOS and has a diploma in dog law, to find out more about the qualifications held by Heather and her team please visit our team page. To find out what qualifications our team hold please visit the team page. Heather will spend between 2 and 4 hours analysing your dog and designing a bespoke behavioural modification programme. You will need to have your dog vet checked before we come out to see you, please email us with your enquiry and we can send out our vet referral form! We now run puppy classes every week on a Monday evening at Bath Vet Group rosemary Lodge in Bath. Our 5 week puppy class is designed so that you and your puppy learn life skills that you can keep using and adapt as your puppy grows. Our classes take place outside so please dress yourselves appropriately and your pups too!! We will only cancel if the weather makes it unsafe to get to the location or unsafe underfoot! We will be working on grassed areas too so wellies may be appropriate. There are toilets inside the vets for us to use each week too. We will provide comfy bedding for the puppies, but please feel free to bring along a blanket or something that smells like home to allow your pup to be comfortable. Goodie bags are given out on week 1 and treats are always with us every week. On week 5 we will hand you out your certificate of completion! Classes start at 7pm and there is ample parking for you at our venue. We have a maximum of 5 puppies per class/party with a qualified behaviourist and a qualified dog trainer. We will only accept puppies after their first week vaccination and only from 8 weeks of age and up to 6 months old. We are members of the IMDT, PPG and INTO dogs so you can rest assured that our methods are positive, genuine and kind.